Dan Gilbert, the owner of the Cleveland Cavaliers, made is feelings clear the last time LeBron James left his team. He apologized for those words when James back a few years later. But with another departure pending, it appears Gilbert has made his feelings crystal clear this time as well. As crazy as it sounds, Gilbert is going to be happy to see James go. According to a couple of owners I’ve spoken to and a few executives I’ve spoken to, Dan Gilbert is known for not being particularly fond of LeBron James. He doesn’t mind the thought of LeBron James leaving at all. 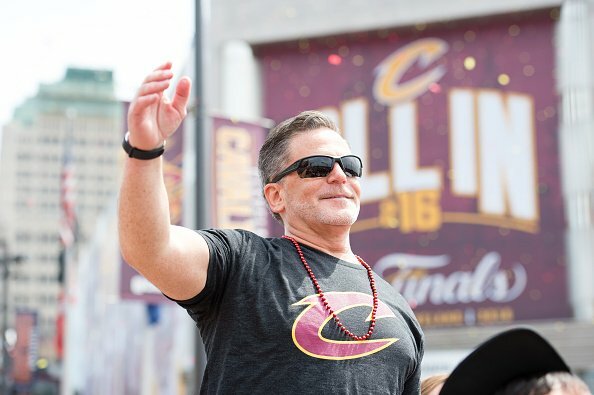 As a matter of fact, I had one executive tell me, “Excuse me, I can’t wait until he leaves, because I’ll get my team back.” This is something Dan Gilbert has actually echoed. That is an exact quote from my sources that said that Dan Gilbert said that. It is not hard to see him be happy the drama will be gone—and there has certainly been quite a bit of drama since James returned. He will likely not miss all the expenses either. They have been so high that despite winning the championship in 2016, the team lost at least $40 million and maybe even $50 million. You could say that Gilbert is a billionaire, and he can afford it. But billionaires don’t become billionaires by throwing money away. Then again, while he the team might have operated in the red during LeBron’s latest stay with the team, Gilbert is still coming out ahead. When James left the Cavaliers for the Miami Heat in 2010, the Cavs were valued at $476 million. Without him, the team went from contender to pretender pretty quick, and its value plummeted. It dipped down to $355 million in 2011 and $329 million in 2012. It rose to $434 million in 2013, and when James came back in 2014, it jumped up to $515 million. With each trip to the NBA Finals, it continued to rise hitting $915 million in 2015, $1.1 billion in 2016, $1.2 billion in 2017, and $1.325 billion this year. When Gilbert bought the Cavs in 2005, he paid $375 million. To be fair, LeBron James and the team’s success is not the only reason why the value shot up. The new television contracts had a whole lot to do with it as well. But James does factor into how much the team’s value has risen. Gilbert’s pleasure at the thought of James leaving town is nothing new. Back in February, it was reported that he was telling people he didn’t care if James left. They got one, and he appeared to be happy enough with just that. Does this mean that he wouldn’t have welcomed James back had he decided to stay? Of course not! On a personal level, Gilbert may not care for LeBron James. But as a businessman, he should know what is good for business and what isn’t. What the Cavaliers will look like next season without James will not be good for business. So—yeah, he’ll have his team back, but he might be the only one who will want it.